Ockam instrument support is important. We have improved it lately. See the support page. 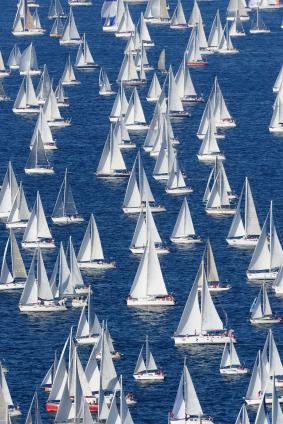 Our LogScanner app helps you improve your sailing prowess. It works with ANY instrument system log file. How will you find an advantage? Let us contact you to discuss how! Ockam Instruments For Yacht Racing Are The Answer. Ockam Instruments are the the most advanced Sailboat Racing Instruments available in the world today. With over 50 years of experience, and constant development, there is simply no other system available which can match it. Constantly updated and improved, Ockam has stayed at the forefront of Racing Instrument Systems, and will continue to do so. Ockam Instruments help you make EVERY key decision you need to make, prior to the race, and throughout the race, all the way to the finish line. Providing information about wind, current and the race course, Ockam helps you get the Big Picture, and keeps you in the know, even as conditions change. No stone (or shift) goes unturned in Ockam’s analysis of what’s happening on the race course. Information is power, and power wins races! Ockam Instruments are the easiest system to use, and it works with the widest range of inputs and display choices. Use it with your existing sensors and send info to display devices like your iPad. The more accurate your instrument numbers are, the more confident you will be, and the more you will win. Ockam Instruments are the easiest Yacht Racing Instrument System to calibrate, and can be calibrated to a finer degree than any other system available today. Ockam also provides the automatic calibration service called DeWiggler™. No other Yacht Racing Instrument System does this. Ockam Yacht Racing Instrument Systems have unparalleled support, and that support is readily available by phone, email or through this website.